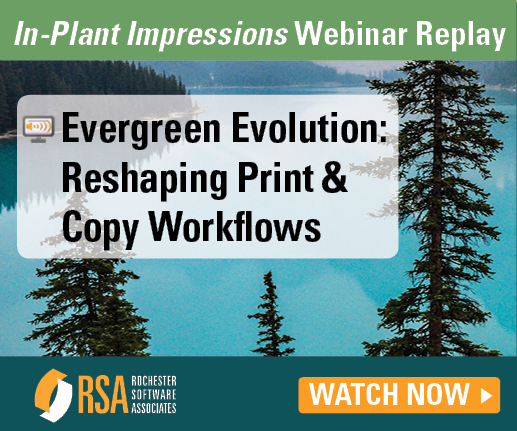 Reshaping Print and Copy Workflows | Industry Analysts, Inc.
Tacoma Public Schools has been on a perennial path to reduce costs and drive volume to its centralized print center since 2013. A current $23 million district budget crisis has put a laser focus on ensuring all possible savings for the district are in place. This has led to the creation of a print governance policy and a push to stop print “leakage” at MFPs. Watch now. This entry was posted in Rochester Software Associates and tagged in-plant, MFPs, print, printers, rochester software associates, Tacoma Public Schools by andyslawetsky. Bookmark the permalink.